Team CTS bowls up for the opening party of BigWest an hour after advertised start time and find the whole shebang and everyone involved is pretty much just getting over the rain. 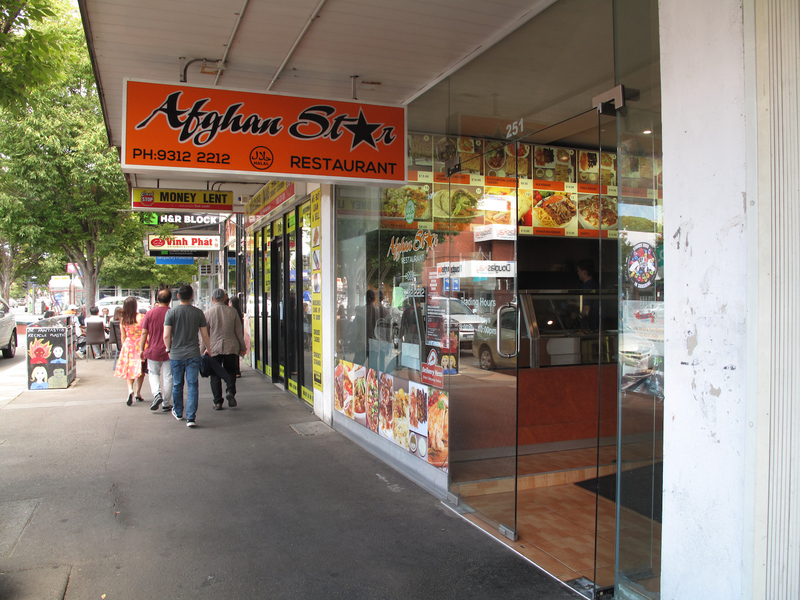 So we adjourn to nearby Nicholson Street and the recently opened Afghan Master Kebab, a sister restaurant to the popular eatery of the same name in Sunshine. The menu line-up (see below) appears to be the same, save for the addition of such stuff as fish and chips. Mind you, the Footscray edition is done out in perfectly fine and plain cafe style that in no way matches the flamboyant interior found up in Sunshine! 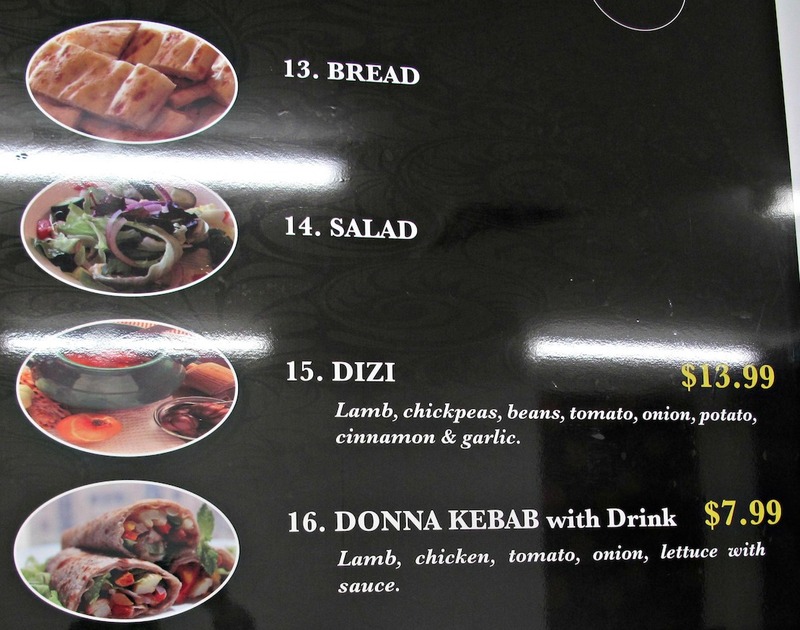 Three of us choose the mix kebab ($13.99) and a delight it is. 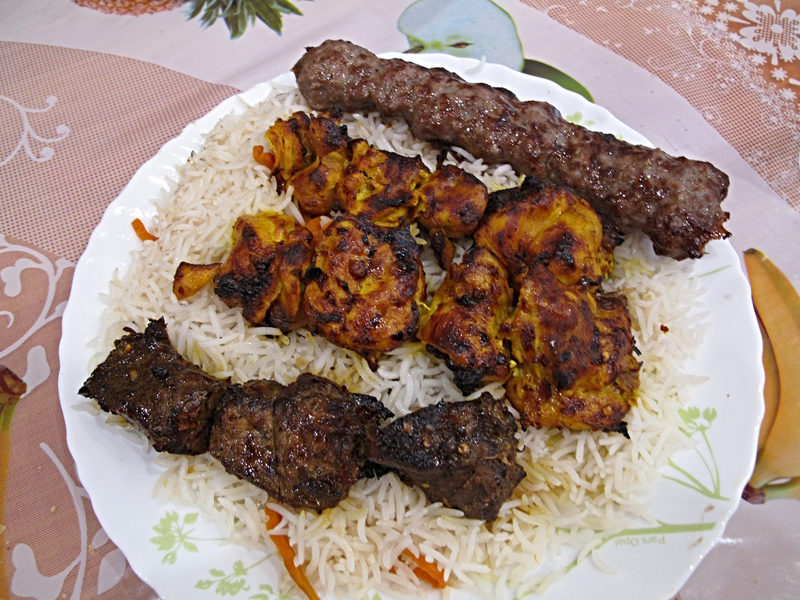 Four skewers – two of superbly juicy chicken and one each of the minced kebab kobida lamb and the diced lamb cubes of tikka kebab. Elsewhere around town, in restaurants that vary from Greek and Turkish to barbecue, it’s easily possible to pay significantly more for meat that is not so fabulous. As in Sunshine, acceptable yet largely superfluous salad bits and two dipping sauces accompany. The chilli and mint number is a doozy while, here, the yogurt dip seems a bit more tangy and has a richer dairy flavour. 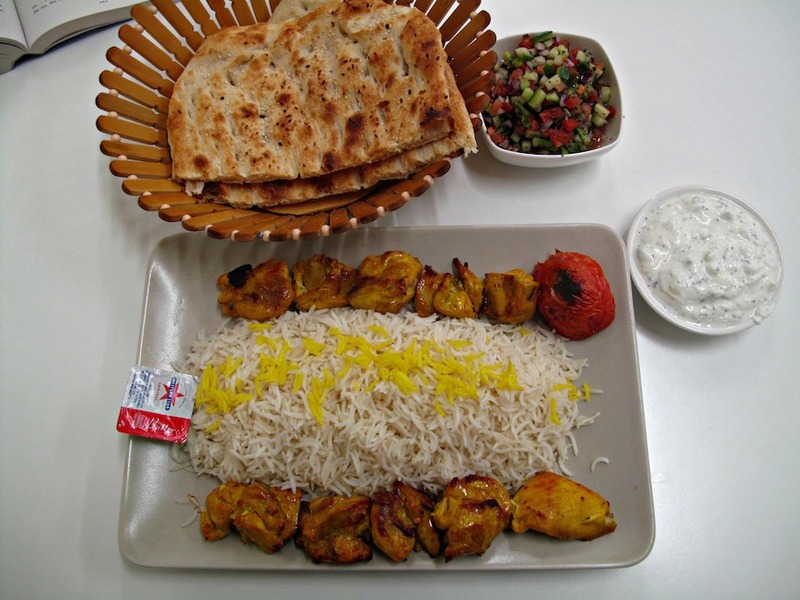 Our meals come with heaps of the wonderful Afghan Master Kebab bread – a bit like naan but chewier and just right slathered in the sauces. After a slightly underwhelming experience with chargrilled chook earlier in the week, it’s a giddy pleasure to inhale the Master Kebab half chicken ($14.99). 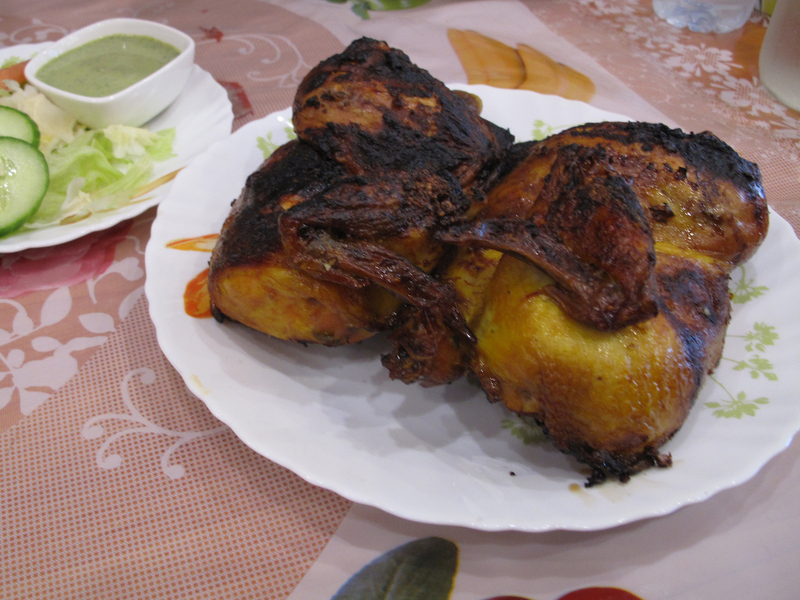 A bit pricier … but THIS is charcoal grilled chicken. On an earlier visit, I’d tried the chicken qorma ($12), one of a handful on non-grill offerings on the menu. It’s nice enough, mildly seasoned and of generous serve. But if anything, it serves only to reinforce the notion that food on sticks is the way to go here. 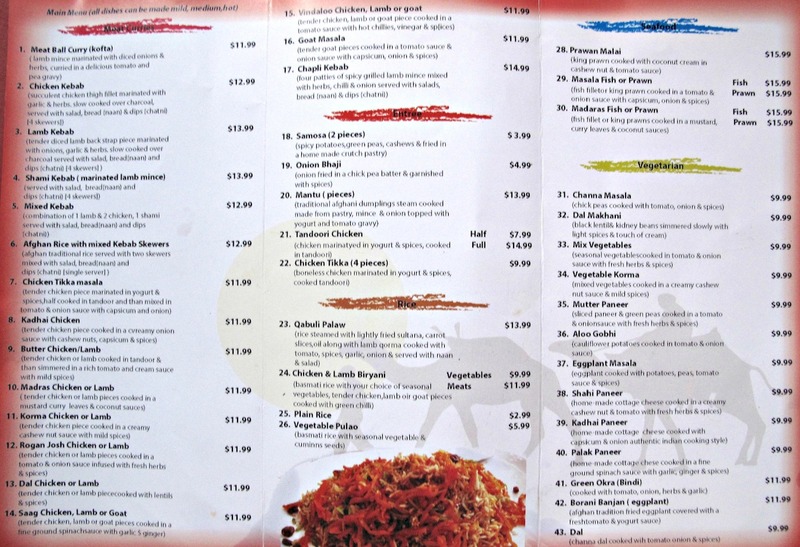 Afghan Shaheen, 231 Hampshire Road, Sunshine. 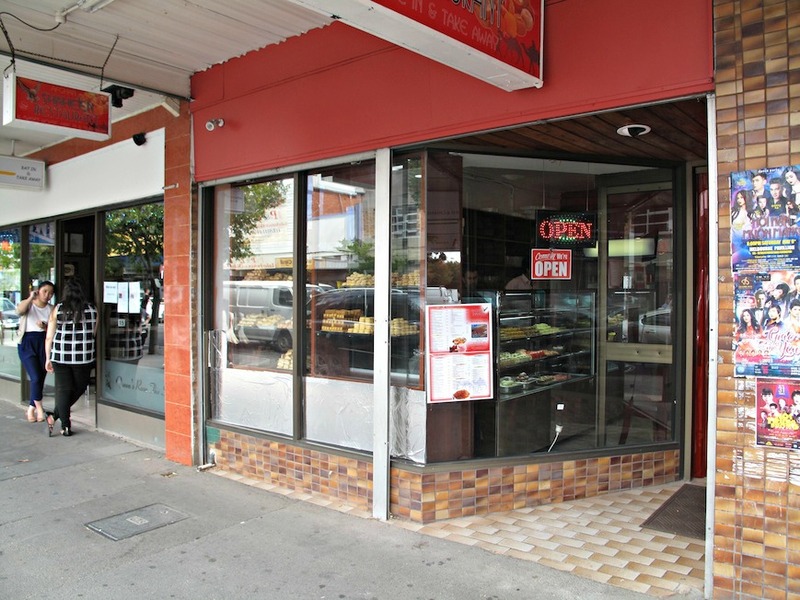 The success of Afghan Master Kebab in Sunshine has seemingly inspired others to try their luck with likeminded eateries. 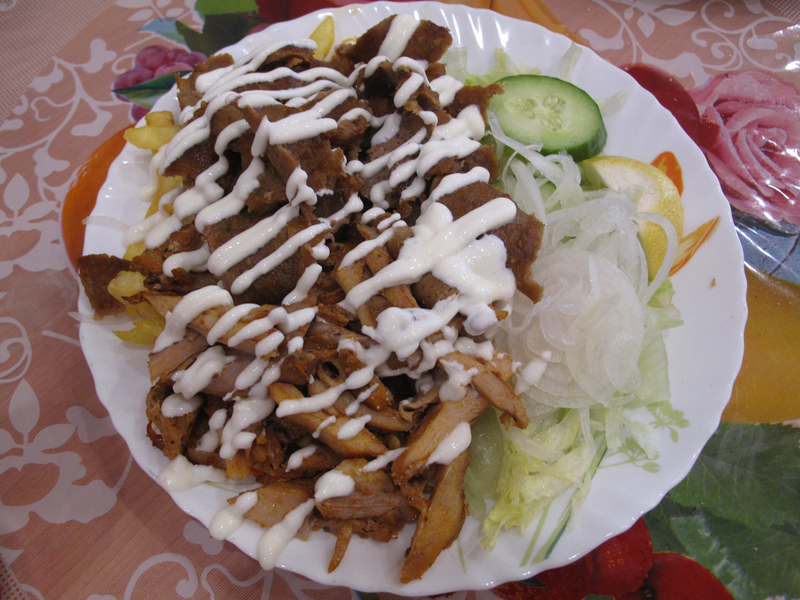 Further afield, in Fooscray, Kebab Surra has made its mark. In Sunshine, it appears there will be three new kids on the block. One, already open, is situated in the food court at Sunshine Plaza and yet to be investigated. Another, on the wider bit of Hampshire Road, still has newspapered windows. Afghan Shaheen is up and running on the narrower part of Hampshire, heading towards the station. 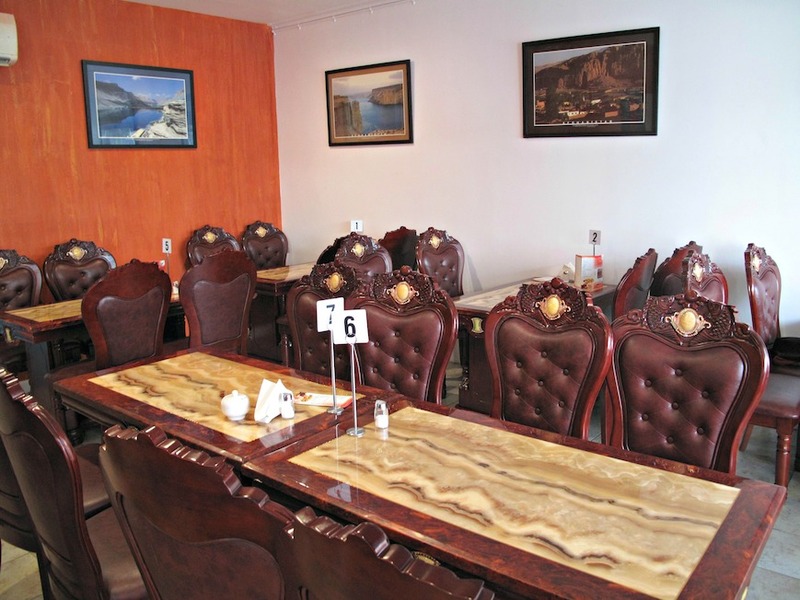 It’s done out in cheerful cafe style with ornate and shiny furniture. 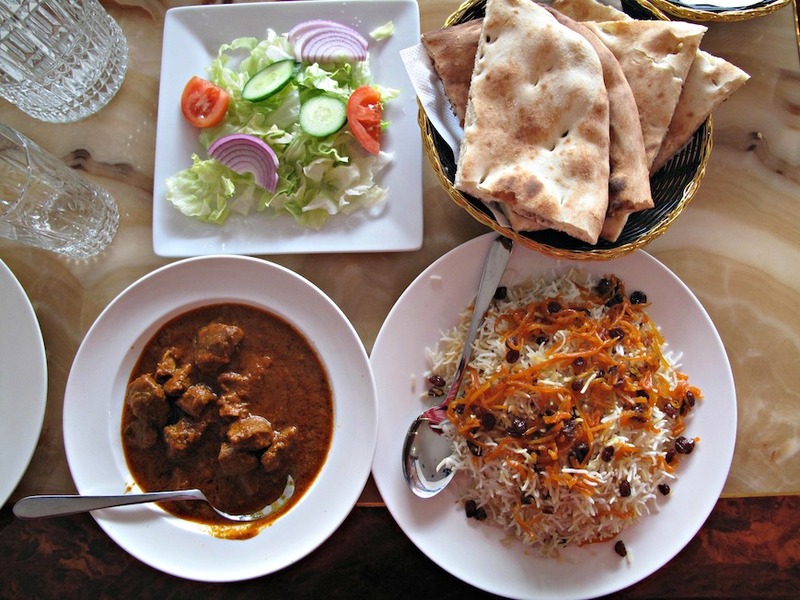 It’s an Afghani eatery with a few twists thrown in. You’ll find the chargrilled meats that are the principal reason of the much-love for the already established places. 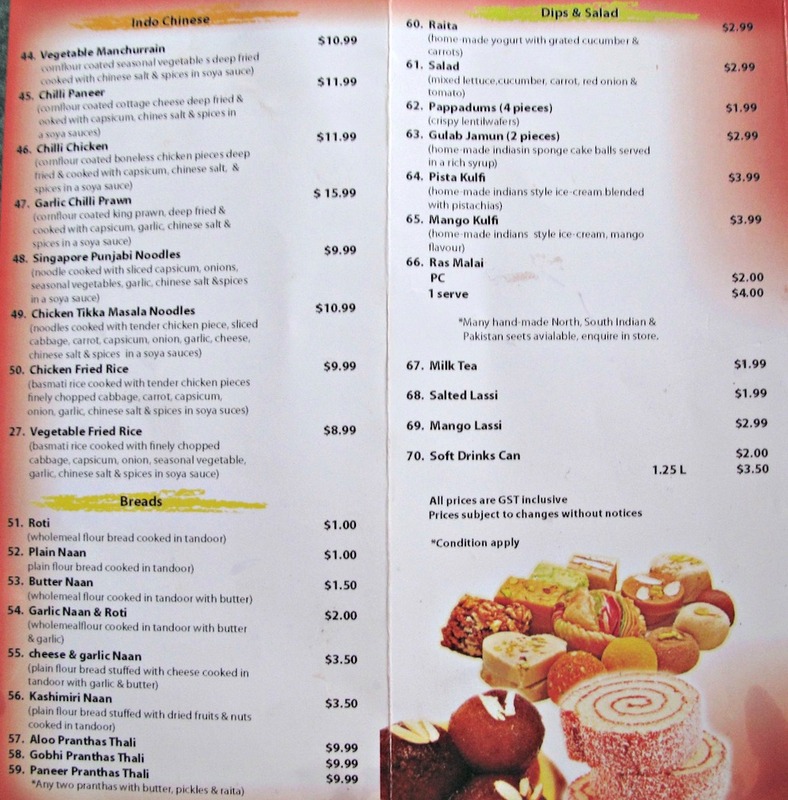 As well, though, the menu (see below) features a longish list of straight-up Indian dishes and even an Indo-Chinese section. 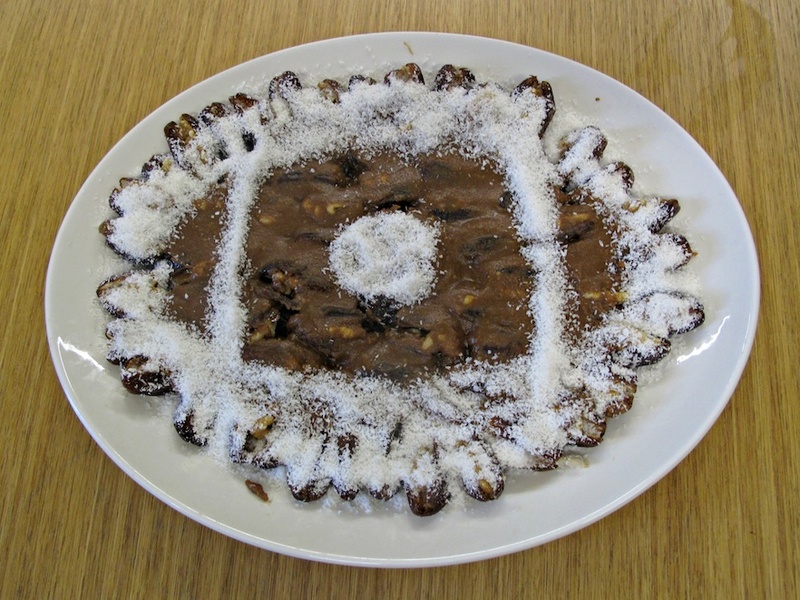 Additionally, Afghan Shaheen is big on baking. 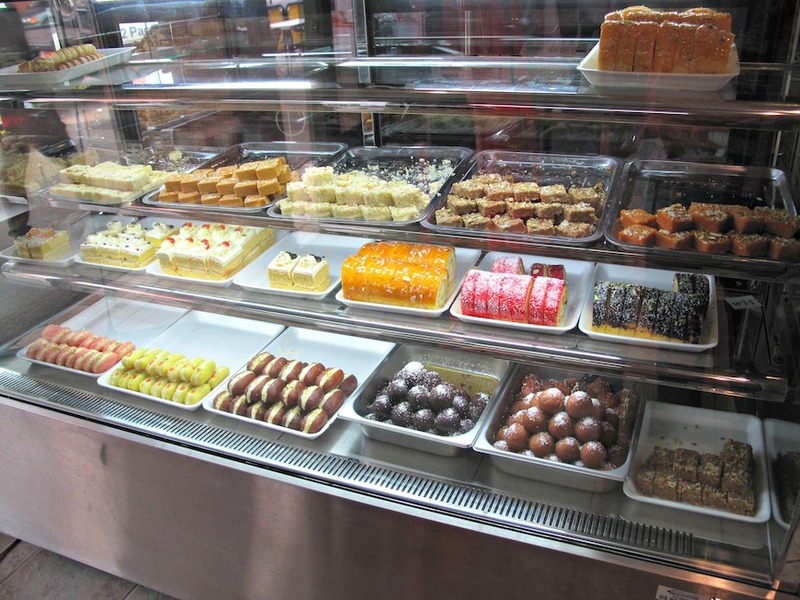 One display contains a glistening range of Indian-style sweet treats that go for $18 a kilogram. 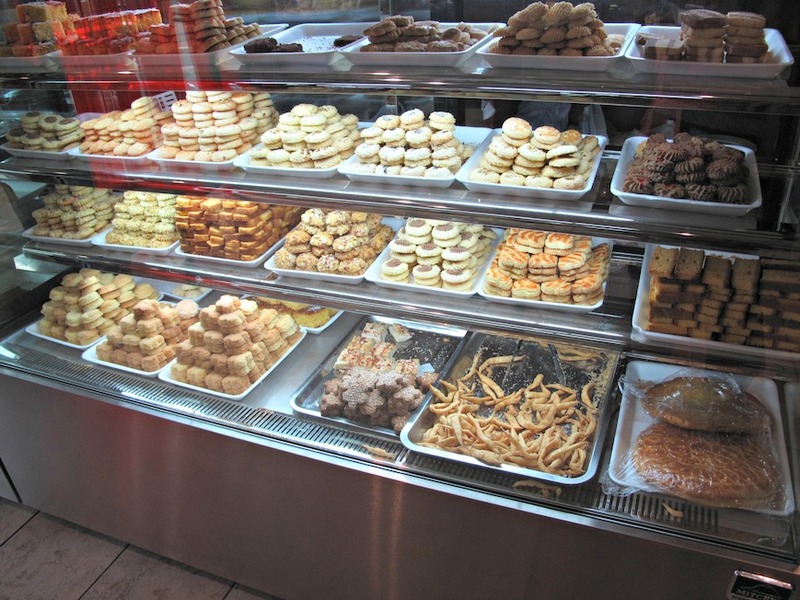 Another cabinet displays many biscuits that look just like Italian-style biscotti. I’m told, however, that they really are Afghani! Rest assured, though, they contain heaps of butter. They sell for a terrific $16 a kilogram – I’m surprised how many I get for $7. 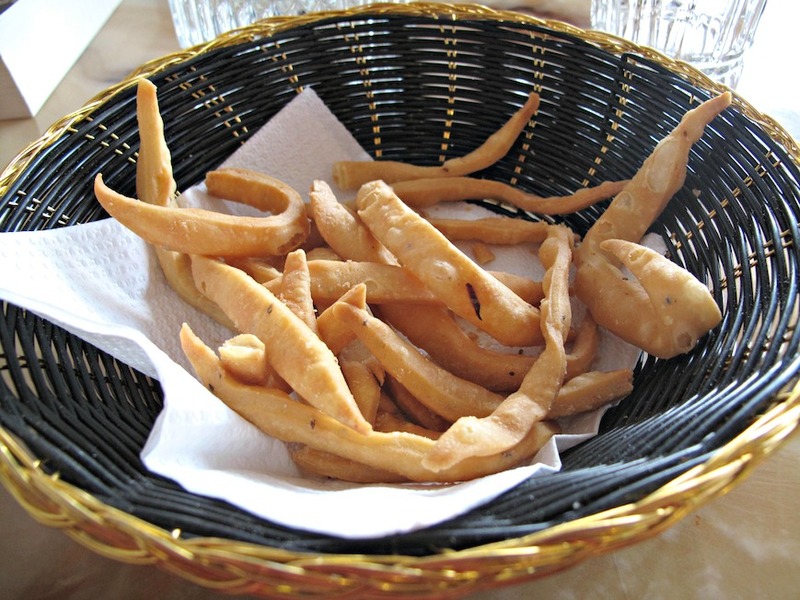 A bowl namakpura (top photograph) – cumin-seasoned strips of deep-fried pastry – are brought without being ordered. Playing the same sort of teasing role as papadums, they’re yummy. Lamb kebab ($13.99) has superb chargrilled meat of high quality – the de-skewered chunks shown here are only half of what is served. 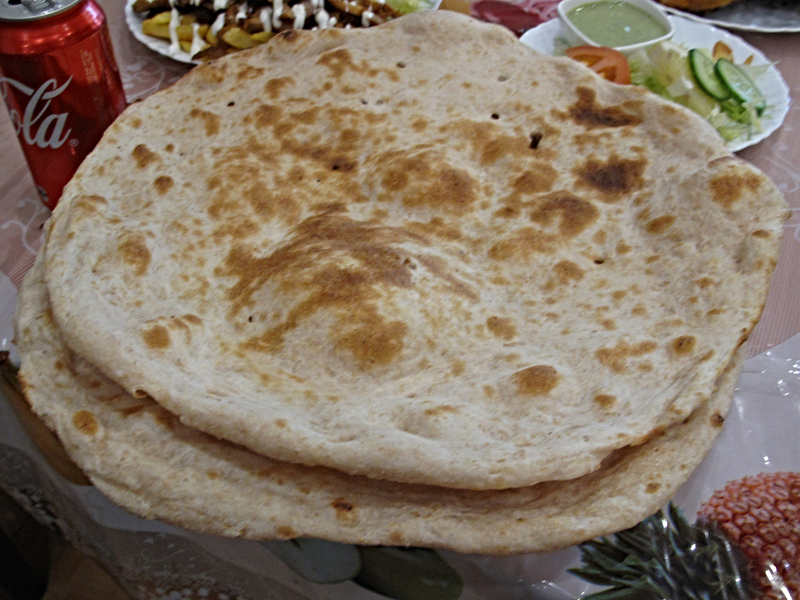 The bread is good but unlike either regular naan or the more chewy, crusty bread delivered at Afghan Master Kebab or Kebab Surra. 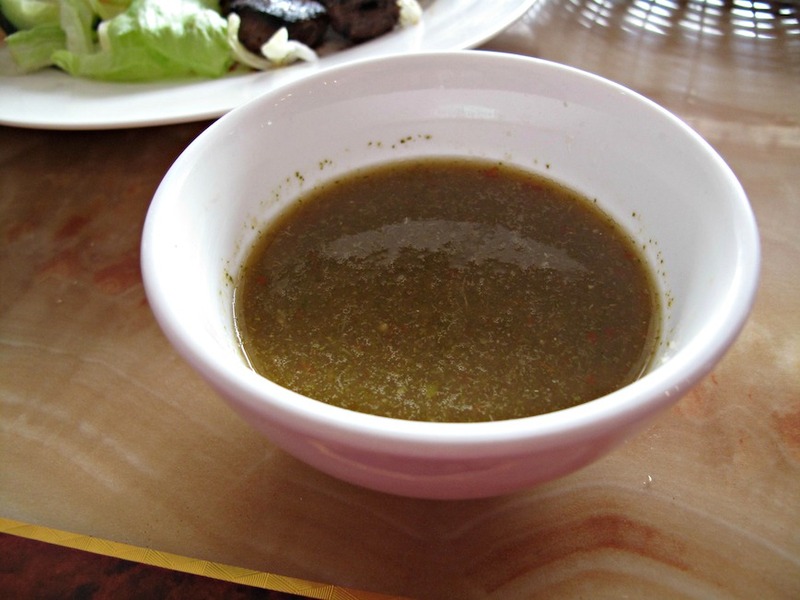 What I first mistakenly take to be some kind of soup turns out to be an excellent mint dipping sauce – a vinegary version of the pale green version often served. 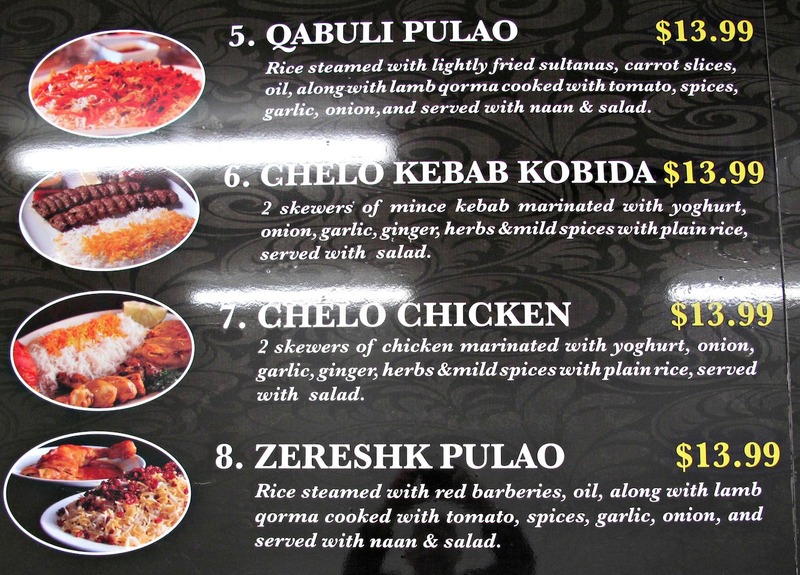 Curry and rice for $13.99 doesn’t sound like such a crash-hot deal but qabuli palaw is excellent. Fluffy white rice studded with moist currants and festooned with cooked, tender and sweet carrot strands. The lamb “qorma” itself is mildly spiced but as deep in flavour as it is deep in brown. 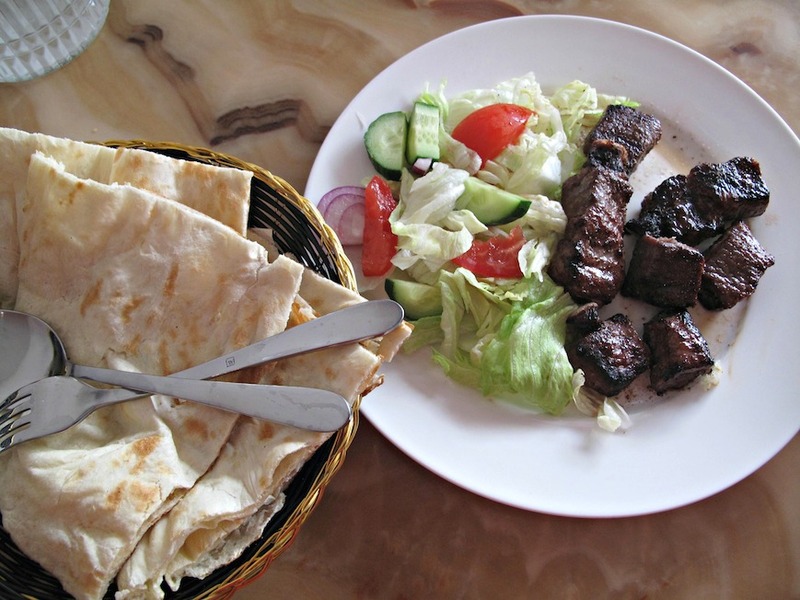 The lamb is of the same high quality and tenderness as found in the kebab serving. With its many bits and pieces, this $15 dish could easily suffice as a meal for two. 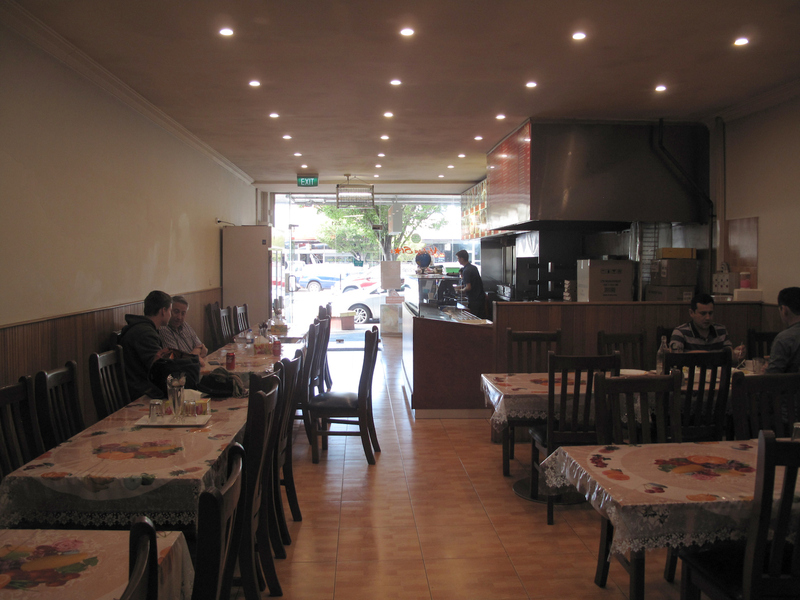 In the meantime, Footscray’s own, Kebab Surra, has become a regular since our initial write-up. 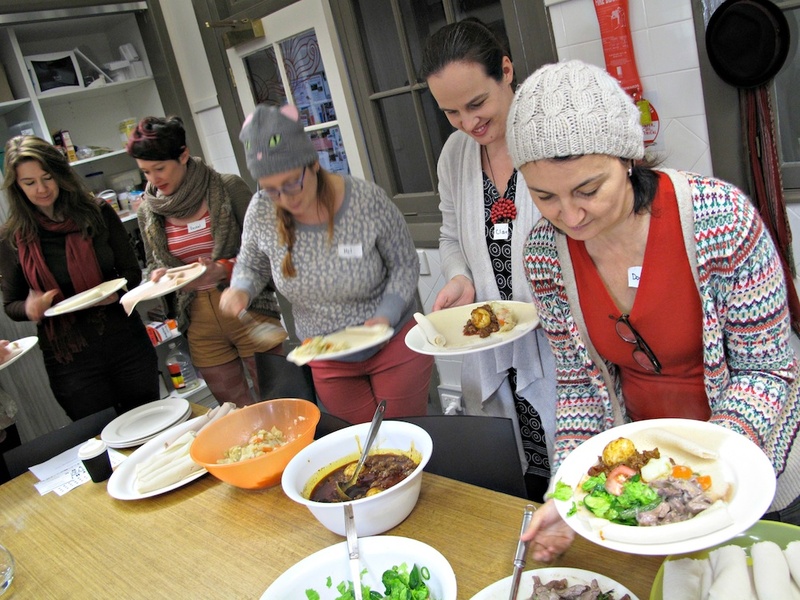 I’ve become used to getting a most welcome bowls of lamb/barley soup with my meals here. That isn’t forthcoming when I order chela kebab ($14) – but that’s OK because what I do get is terrific. Two sublimely juicy, meaty skewers of marinated chicken; no such thing as too-dry chook breast meat here! Tangy yogurt with cucumber and dried mint. Most excellent fresh bread – like a cross between Turkish bread and naan. 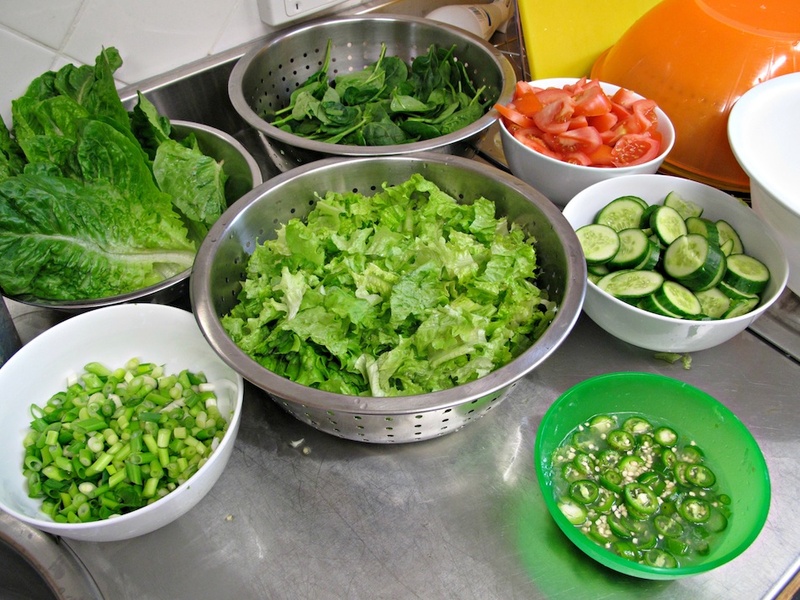 And – instead of the usual mixed salad – a much more finely diced effort in the Indian style. No wonder Kebab Surra has become a very firm favourite of Joe. Yes! 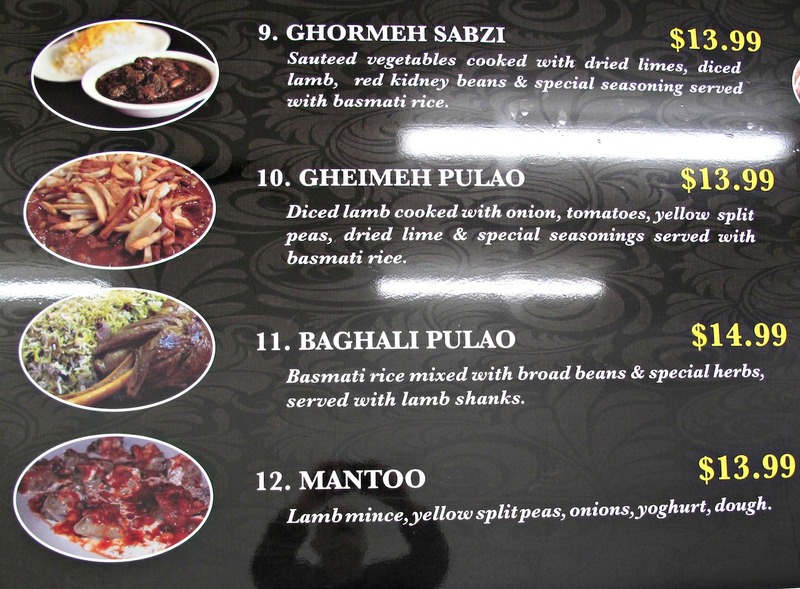 It IS Afghan kebabs for Footscray! The fit-out at 241 Barkly Street, Footscray, is coming along – and there’s a menu up! 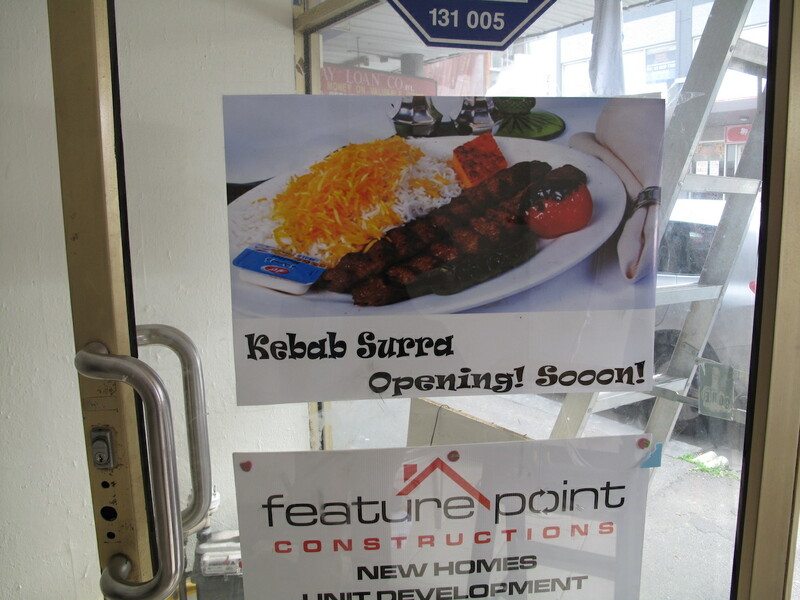 As you can see, Footscray really is soon to get its first Afghani eating house. 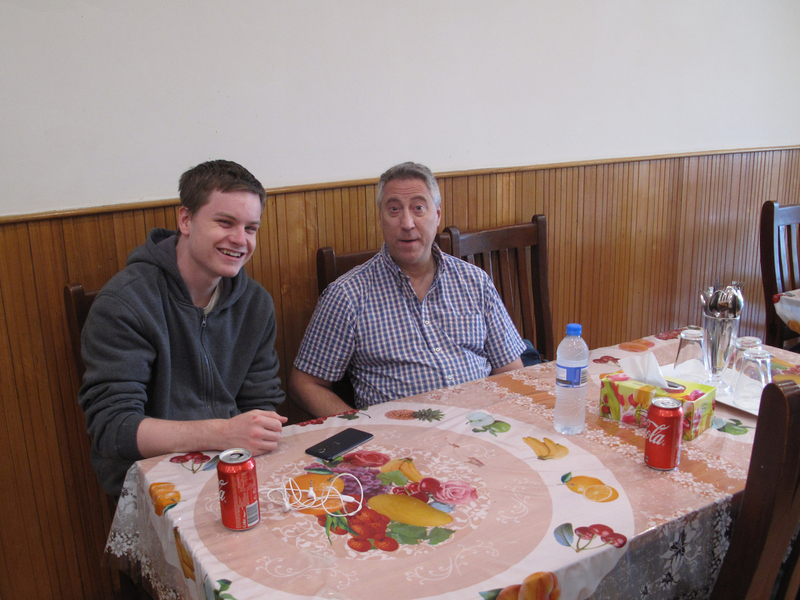 … also the marvellous Afghani dumplings callled mantoo. Consider The Sauce pal Juz has alerted us to something interesting happening on Barkly Street – at number 241 to be precise. 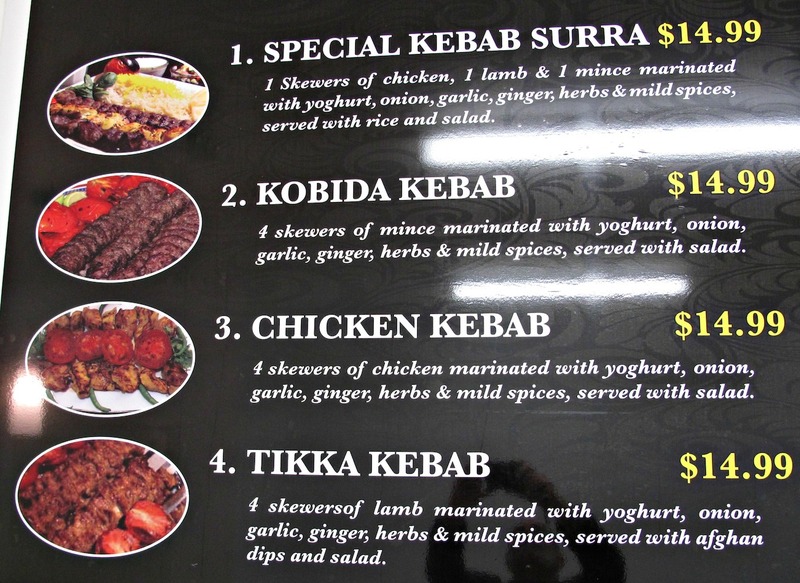 As in the sort of kebabs found at Master Afghan Kebab in Sunshine and Rezah Afghan Kebab in Brunswick. The best I can do with some sleuthing is to discover that Surra is a residential area of Kuwait – which appears to be, perhaps coincidentally, the home of the Afghanistan embassy. 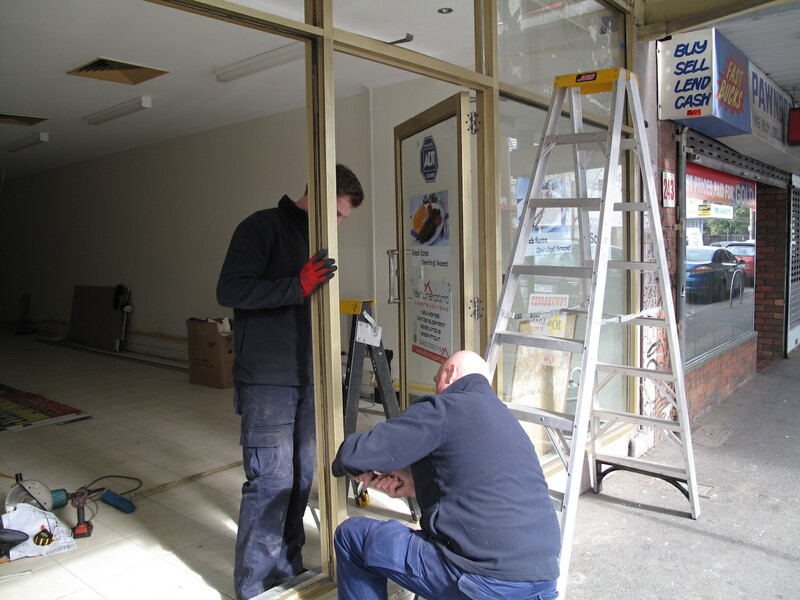 A lunchtime Saturday visit by myself fails to reveal much more – just a couple of blokes working on the windows. So … not a lot go on. 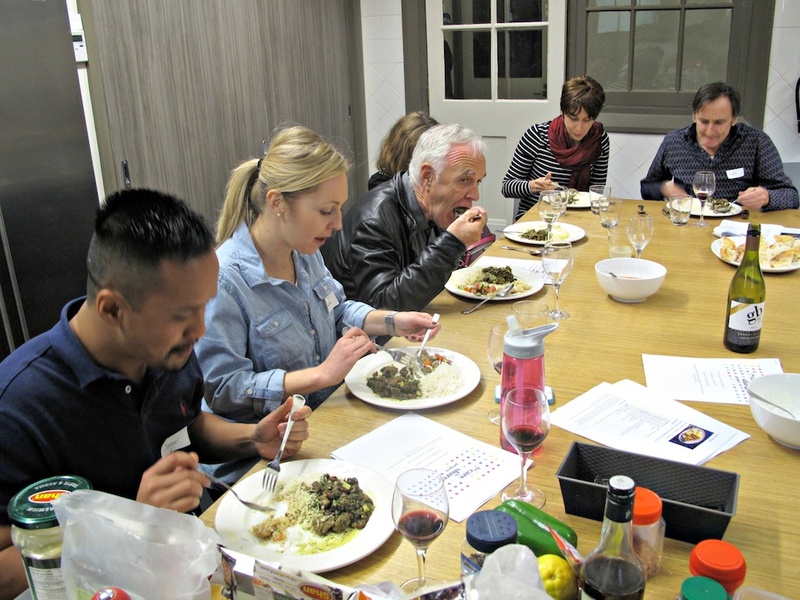 CTS missed the first, Vietnamese outing of the Care To Share Project’s Cooking Connections program, but was very happy to make the weekend pairing as host. Thanks to the Care To Share crew for granting me the opportunity (see link below for more information). Thanks, too, to the punters – many from the west but more than a few from all over Melbourne. 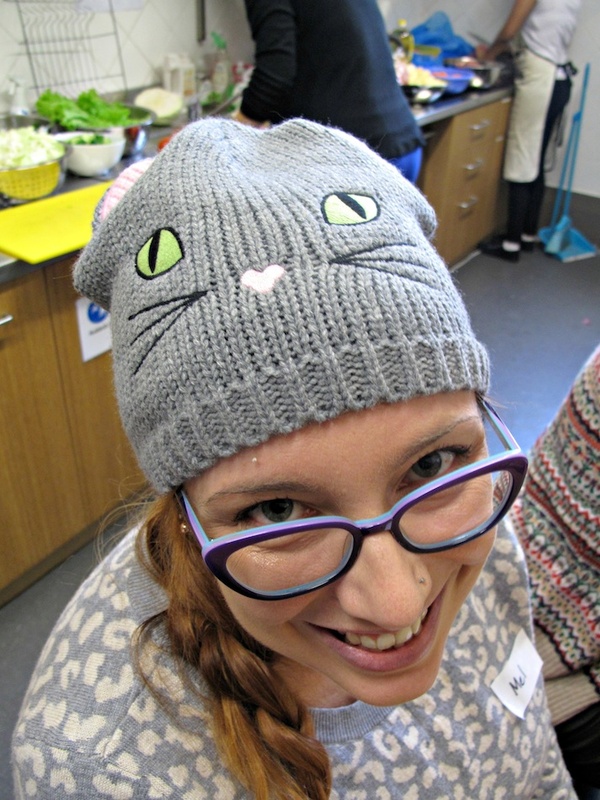 But most of all, warm thanks to the families and individuals who shared their cooking and food with us. First up on the Saturday were Jamshid from Afghanistan, Sara from Iran and the family of Ebi, Roya and Maryam, also from Iran. All these folks are on bridging visas. 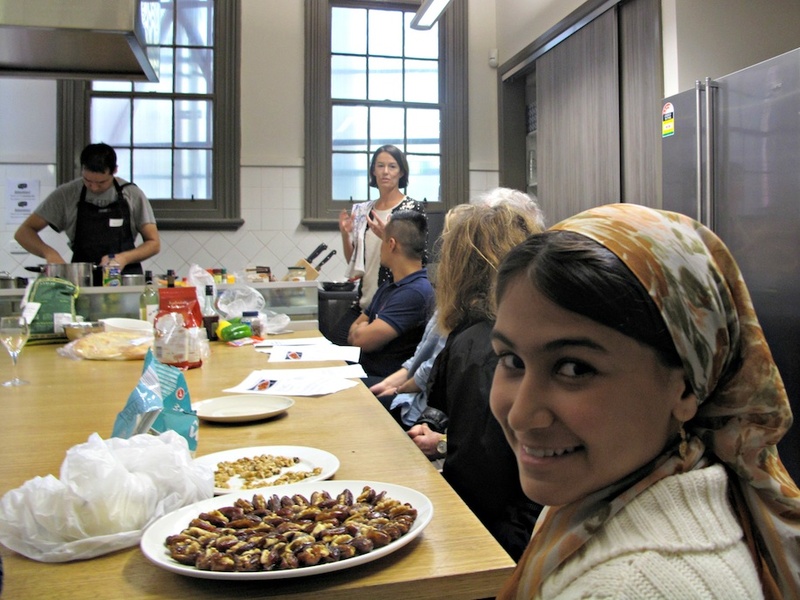 Maryam did a fine job of splitting the dates and inserting walnuts in them for the Persian sweet rangenak. 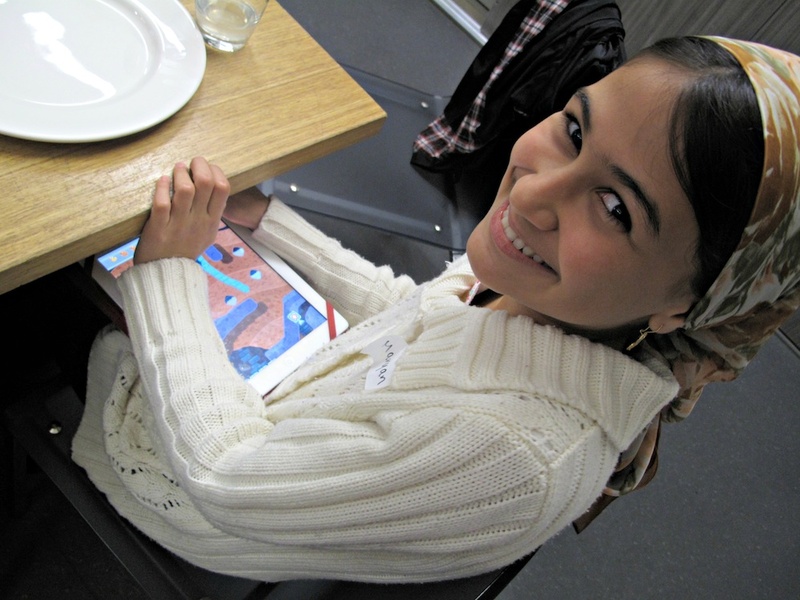 But in the digital age, some things are universal with young folks. 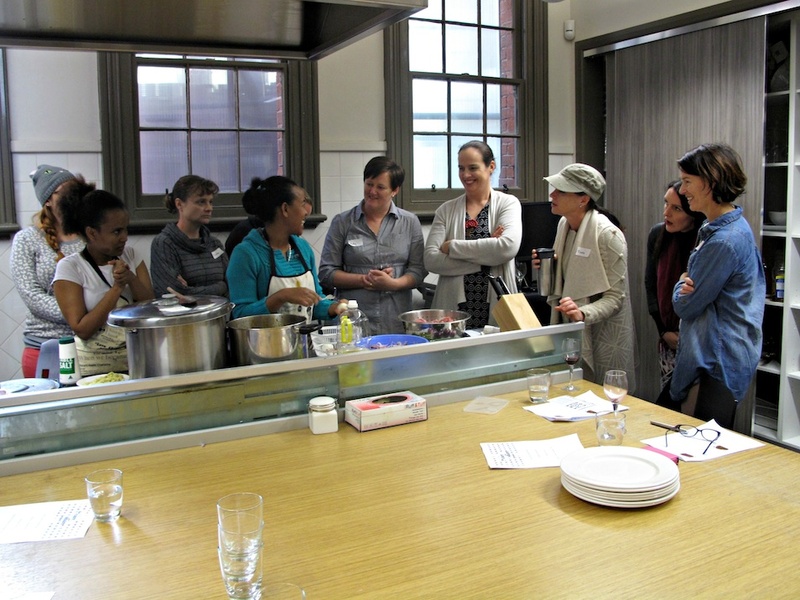 The guests lost no time in leaving their chosen seats to talk to the asylum-seeking cooks. 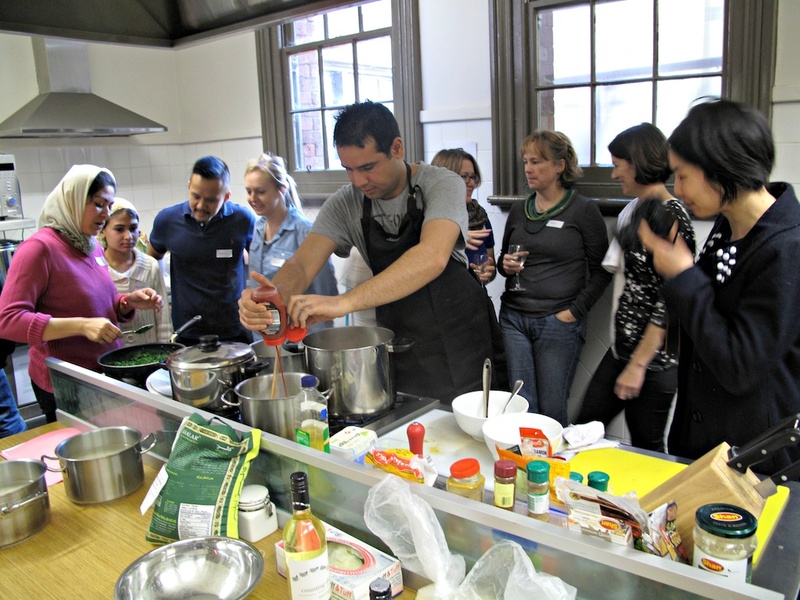 Jamshid was busy making korme koftas, chicken biryani and Afghan pulao. 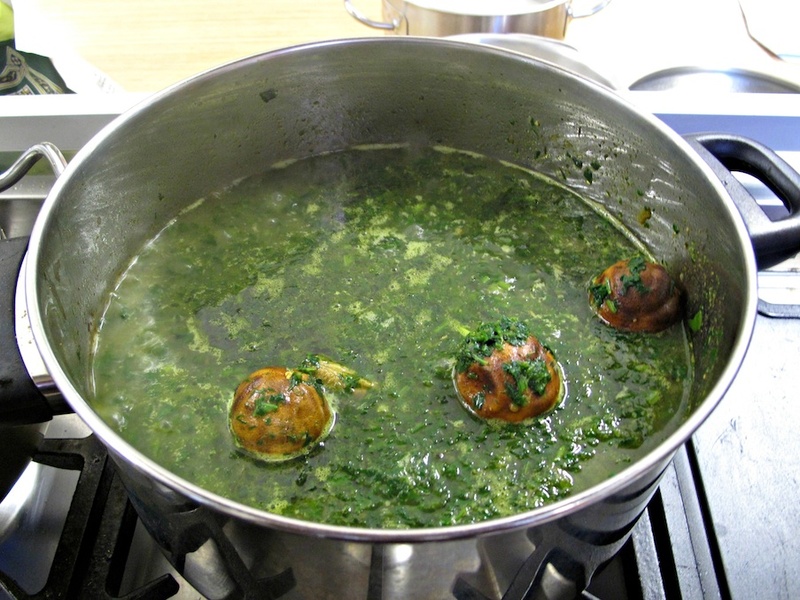 Along with a stack of finely chopped greens – spinach, coriander, dill – dried limes went into the ghormeh sabzi prepared by Roya and Ebi. 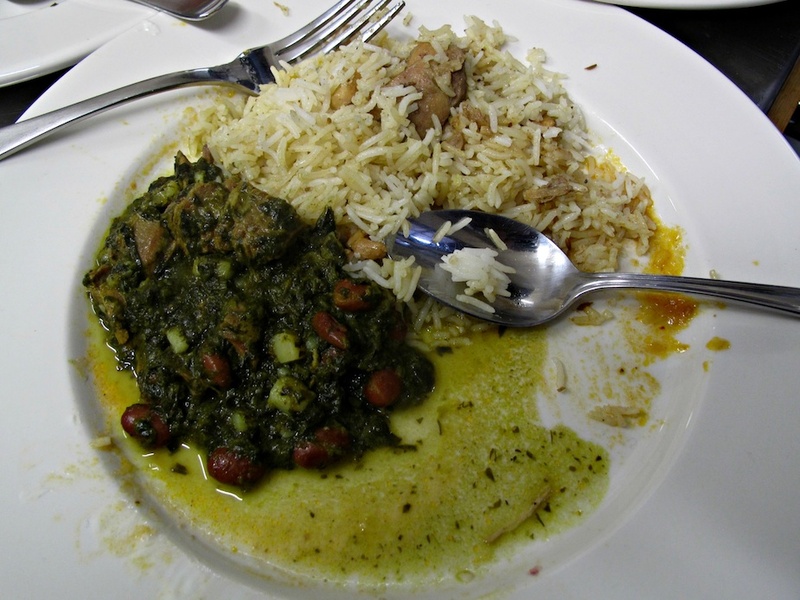 The ghormeh sabzi – with its greens, potato, lamb and red beans – was piquantly amazing. The walnut-stuffed dates were drizzled with pan-roasted flour mixed with oil and, finally, coconut for a suave “grown-up” post-meal sweet treat. 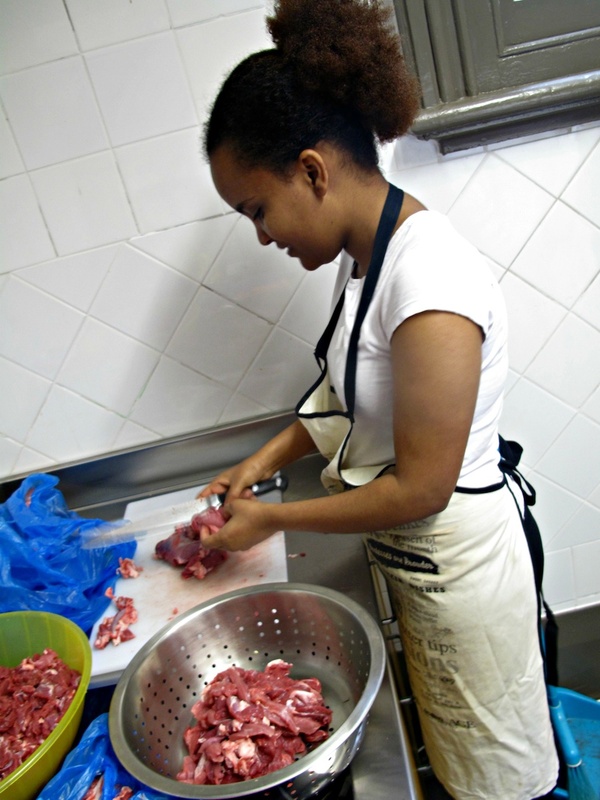 On the Sunday, it was time for Rosa, her mum Nigest and niece Betty to present their Ethiopian cuisine. 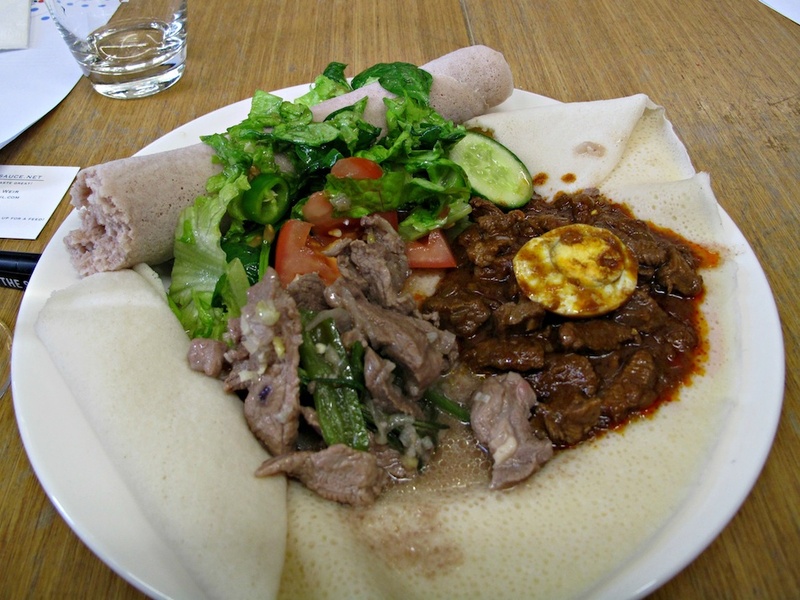 The guests were split about 50/50 between those who had tried Ethiopian food and injera and those who had not. The dishes cooked were lamb dishes key wat and tibs, and the cabbage, potato and carrot of key wat. 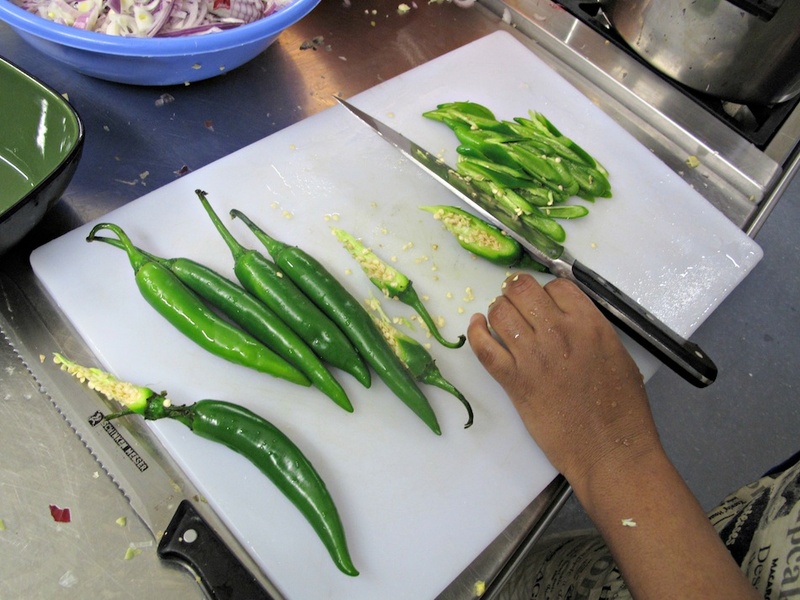 Having long admired and respected the fresh zing with which our African cooks imbue their salads-on-the-side, I was tickled to discover how one family at least does it – marinating sliced green chillies in lemon juice and using it as a dressing. 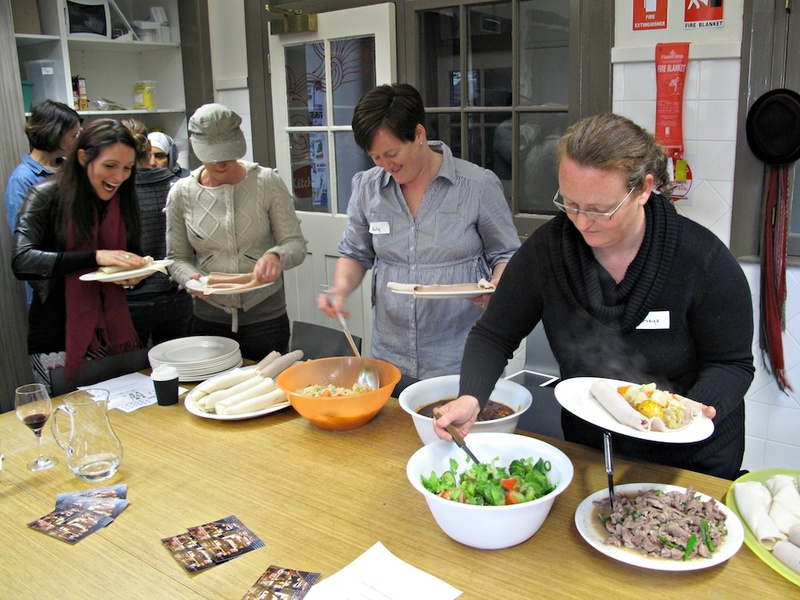 Once again, the guests lost no time in getting up close and personal with the cooks and the dishes they were cooking. 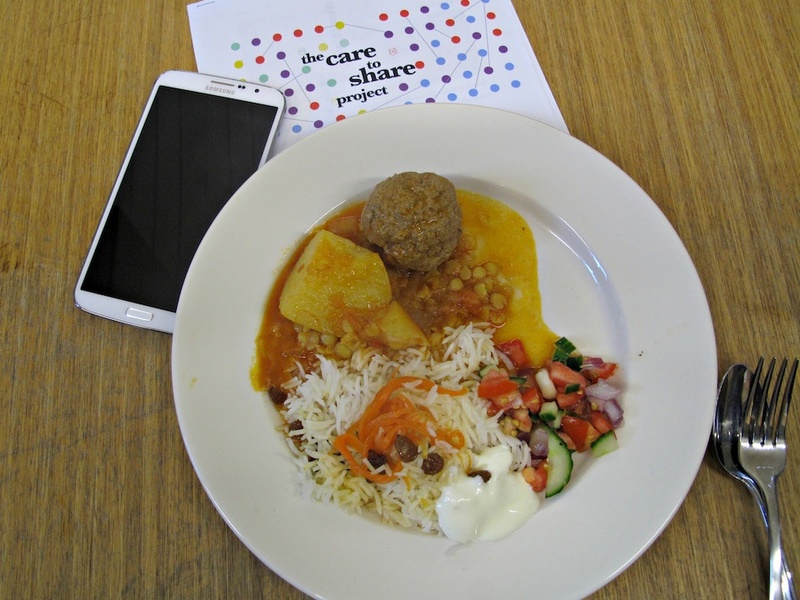 For more information on the Care To Share Project, check out their website here and “like” their Facebook page here.